Why the topic ‘electronic cigarettes in Australia’ is becoming popular? You will be really wondering whether why it is so important to know about the state of e-cigarettes in Australia. This is because of the regulations that were put forward for electronic cigarettes in the country. Some people might have heard that e-cigarettes are banned in Australia. Here, we can have an inner look into this. Dr. Murray Laugeson of Health New Zealand carried out clinical trials on e-cigarettes that contained nicotine in their cartridges. He has authored and co-authored more than 30 research papers in national as well as international medical journals on the testing of cigarettes and cigarette substitutes. The tests found that e-cigarette is safe relative to the conventional cigarettes. Also, the tests found that these are also safe in absolute terms on all the other measurements. Each puff of the e-cigarette contains 1/3rd to one-half of the nicotine that is present in each puff of regular cigarettes. It is to be noted that the electronic cigarette device is neither banned nor illegal in Australia. However, selling electronic cigarettes that contain nicotine is illegal. 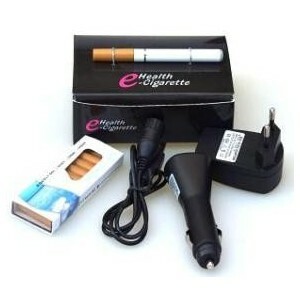 One can use e-cigarettes containing nicotine and it is permitted to import nicotine for personal use. According to the Australian Government Department of Health and Aging, one can receive nicotine by mail up to 3 months. As per the laws in Australia, it is illegal to sell, advertise or to import e-cigarettes and related products that contain nicotine for the purpose of resale. Hence, many of the e-cig companies which are based in Australia can only sell e-cigarettes and related products that do not contain nicotine. However, it is to be noted that it is essential to have nicotine in the e-cigarettes for making a successful transition from tobacco-based products to electronic ones. As mentioned, nicotine will be essential for transition. In addition, it has to be in the appropriate strength for matching your current levels of nicotine. If you are a smoker at present, I am sure that your body will crave a certain level of nicotine. This will continue until this craving is met. When you are about to select an e-liquid nicotine strength which is very low, your body would crave additional nicotine. This will lead you to return to your regular cigarettes. Here is a legal way for Australians to buy electronic cigarettes that contain nicotine! If an individual wants to purchase electronic cigarettes with nicotine, one must order them from outside of the country and can have them imported. As stated above, the law permits a three month supply for personal use. However, it is still unclear what is really meant by a three month supply. Hence, one must use the best personal judgment while placing the order. Hence, knowing about the regulations in Australia for the use of electronic cigarettes will be helpful for every Australian in order to practice the legal usage of these products.